We are in the process of making some changes to the website in order to make it easier to find exactly what you are looking for at the Feng Shui Store. Over the last few months, we have received some great feedback from you all about ways to make the website easier to use and the most popular request was to create categories for each of the 9 Flying stars and which cures and enhancers can be used in each sector. Below, you will find the links to 9 new categories for Cures and Enhancers related to each of the 9 Flying stars. If you have any other recommendations, please feel free to comment below this post. You can also view these categories in the future by using the Online Store menu on the left hand side of the website. Click here for our range of Cures and Enhancers for the #1 Annual Flying star. Click here for our range of Cures and Enhancers for the #2 Annual Flying star. Click here for our range of Cures and Enhancers for the #3 Annual Flying star. Click here for our range of Cures and Enhancers for the #4 Annual Flying star. 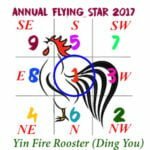 Click here for our range of Cures and Enhancers for the #5 Annual Flying star. Click here for our range of Cures and Enhancers for the #6 Annual Flying star. Click here for our range of Cures and Enhancers for the #7 Annual Flying star. Click here for our range of Cures and Enhancers for the #8 Annual Flying star. Click here for our range of Cures and Enhancers for the #9 Annual Flying star.